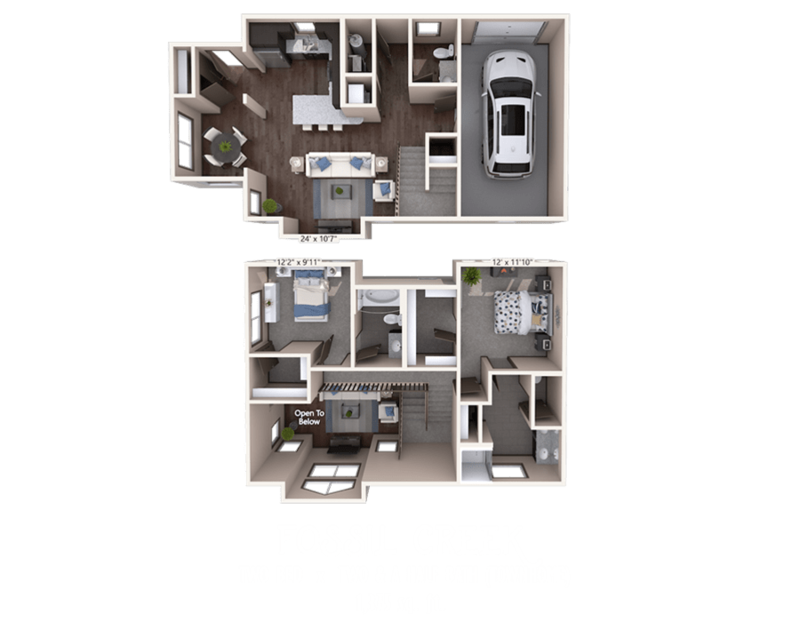 Find an apartment that allows you to live big at Timnath Trail at Riverbend Apartment Homes. 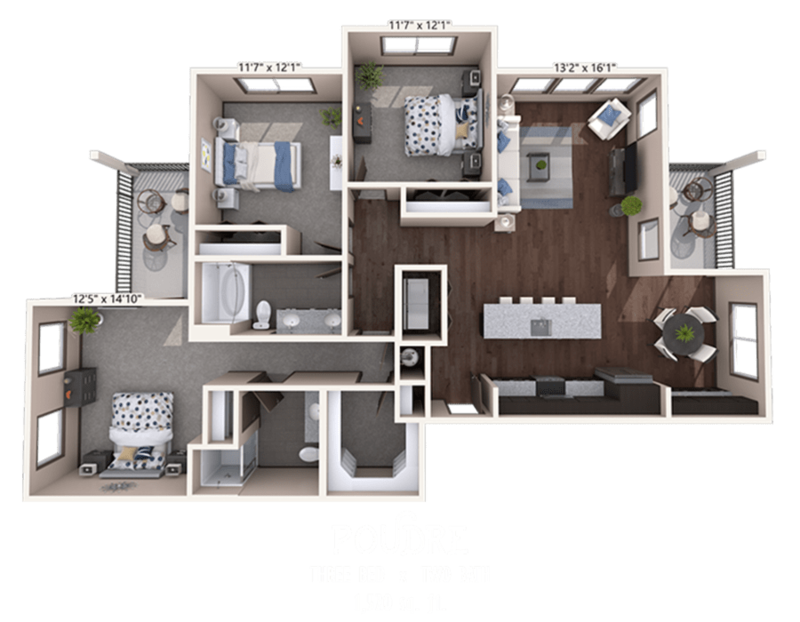 Our one, two, and three bedroom floor plans offer large square footages to give you more than enough room to live life to the fullest in Timnath, CO. One bedroom floor plans offer over 700 square feet of space. 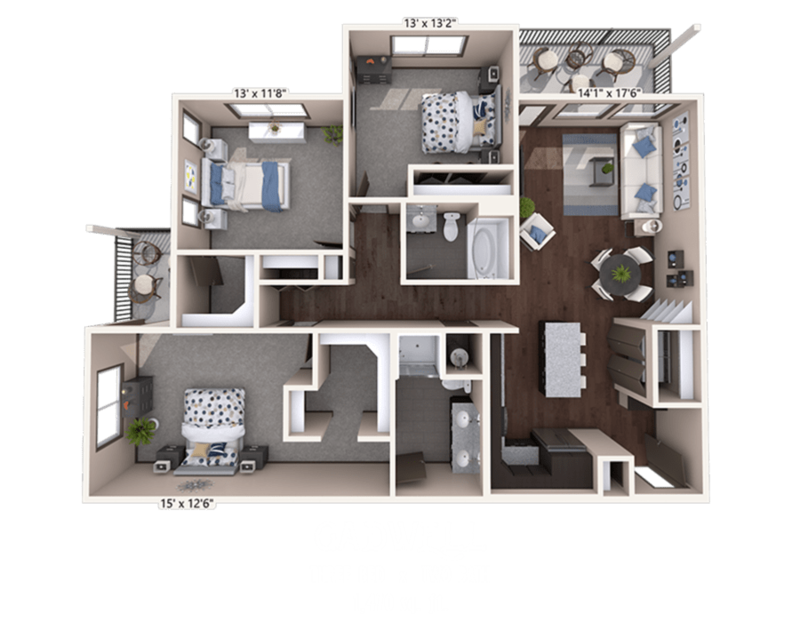 Two bedroom apartments give you over 1,000 square feet, and three bedroom apartments are over 1,200 square feet. 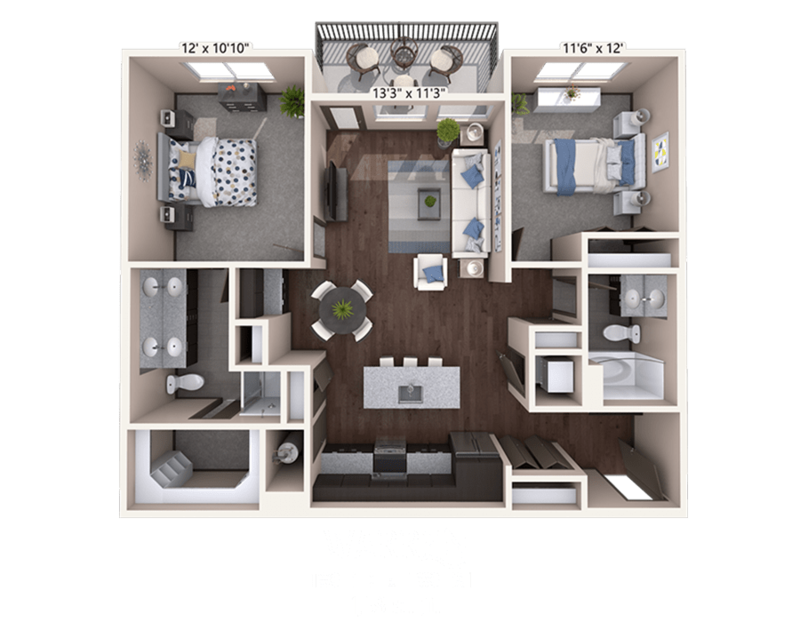 Every floor plan we offer includes natural elements like wood and granite to help bring a little bit of outside into your new home. In our contemporary ranch-style apartments, upscale details combine with a cozy aesthetic to offer an unparalleled mountain resort experience. Discover life in a brand-new apartment home that’s as inspiring inside as it is out. You’ll love upscale details like stainless-steel appliances and granite countertops in the kitchen. Solid wood doors and open shelving are seemingly simple touches that elevate the feel of your space. And wood-inspired flooring perfectly complements your new home’s rustic contemporary style. Pour a glass of your favorite beer or wine and slip out to your private patio or balcony to soak in the mountain views. 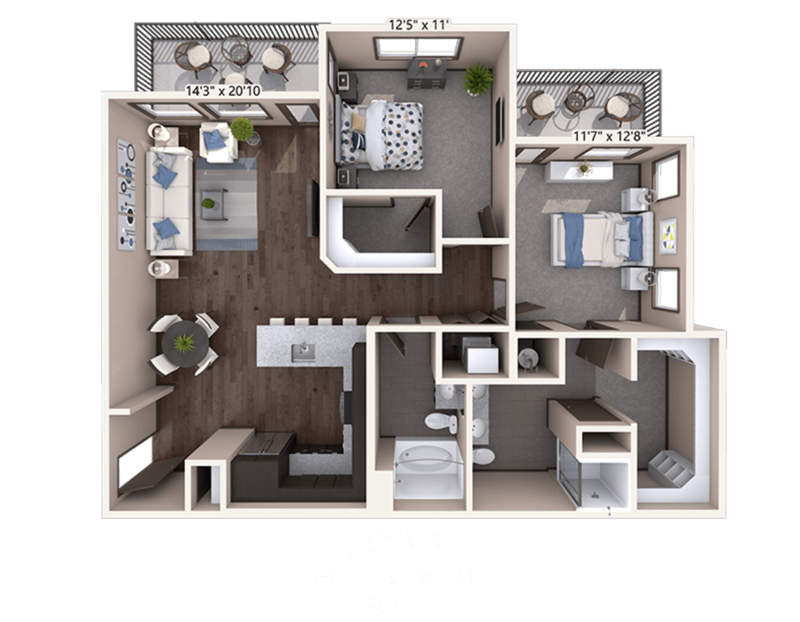 Feeling inspired to see our apartments in person? Set up your private tour today. No small detail was overlooked when developing the homes at Timnath Trail at Riverbend Apartment Homes in Timnath. 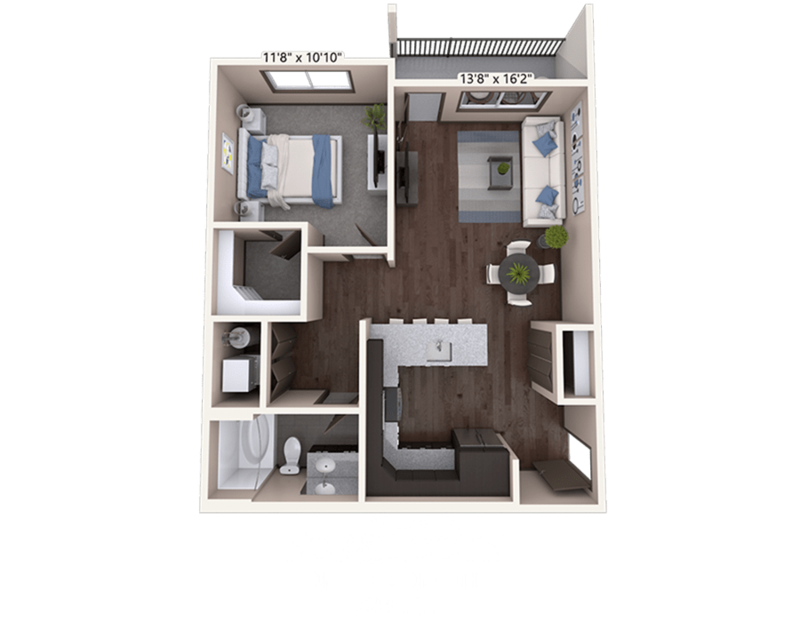 With finishes and elements designed to stand the test of time, you'll notice the difference as soon as you move in! Real wood doors provide a quiet refuge, blocking out the noise from your surroundings. Stainless steel appliances, custom cabinetry, and granite countertops make your new kitchen the perfect luxury location to prepare holiday meals or host gatherings among friends and family. The recessed lighting throughout your home combined with the oversized windows in each room provide ample light, and keep the apartment bright no matter the time of day or year. Come home and relax on your private patio or balcony, and enjoy a second balcony in select apartment homes. 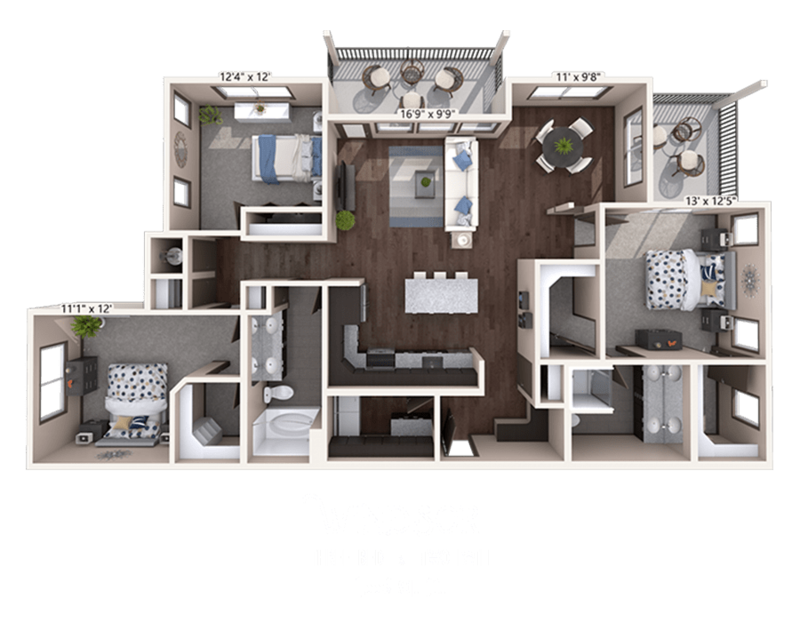 The open floor plans and high ceilings offered at Timnath Trail at Riverbend Apartment Homes help to create an airy, spacious feel in your new home! These aren't just apartment homes, one of them could be YOUR home!